Counseling that Kids and Teens Enjoy! Narrative Counseling Center offers psychotherapy for individuals, couples and families. We provide Couples Therapy to partners seeking resourceful tools and skills, collaborative conversations and new ways of listening and being heard. Our services include Co-therapy and LGBT counseling. We also offer fees on a sliding scale. Why Wait to Have the Life You Want? OVERVIEW Together we look at your life to see what works, what doesn’t, and why. We’ll see who you are, the relationships you’re in, and what stops you from having the life you want. We’ll see how you act, think, feel, and relate to others today and how those have been affected by your life experiences. We’ll work to change things so your life does work for you. Expert Couples Counseling, 26 Years Experience. Imagine a Life Fulfilled.. Hard to Do? Life Doesn't Have to Be So Hard for Gay Men! Your Relationships can get BETTER! No one makes it Alone, Why try? Get the help you deserve! Individual, couples and families in Woodland Hills, and Santa Monica, California. Training in gestalt therapy, Eriksonian, cognitive, and strategic therapy. I am an extremely perceptive and creative therapist, who is very direct, engaging and self disclosing. 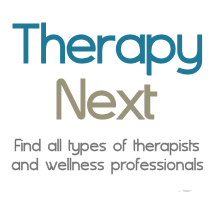 I work best with clients who are serious about making core changes in therapy. Assisting in the art of self love, relationships & true joy! Do you struggle with ongoing depression or anxiety? Have you tried talk therapy without good results ? Do You Struggle with Recurring Depression, Anxiety, Panic? Tired of Just "Talking About It" in Other Therapies?